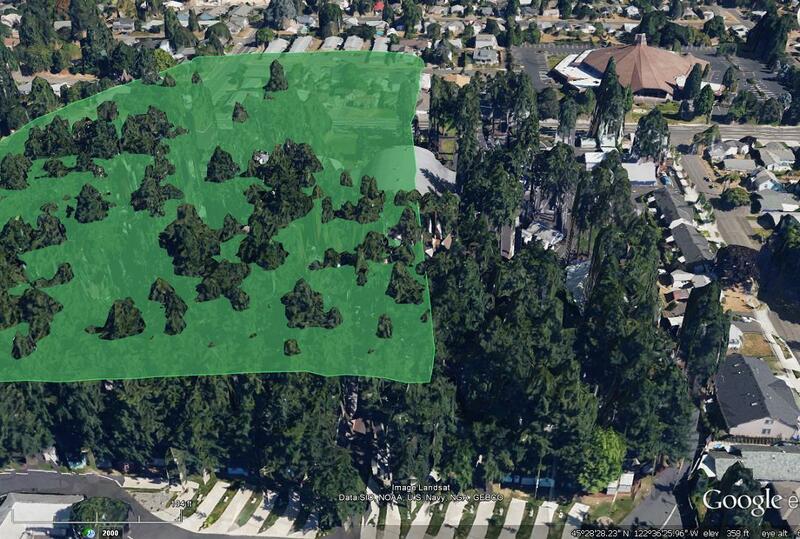 ← Portland used to have 300 foot tall Douglas fir! 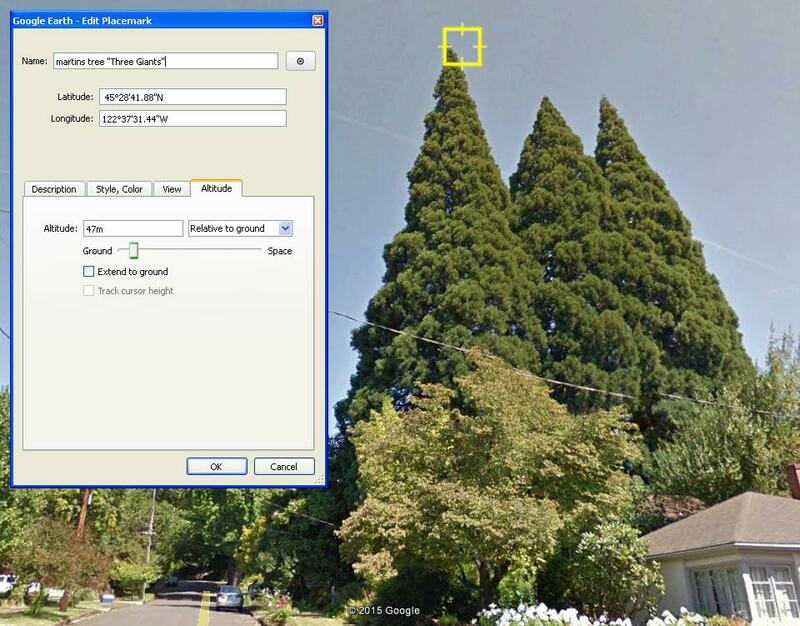 2 Responses to Measuring Tree height in Google Earth. 3D canopy, and Street view. Nice work. 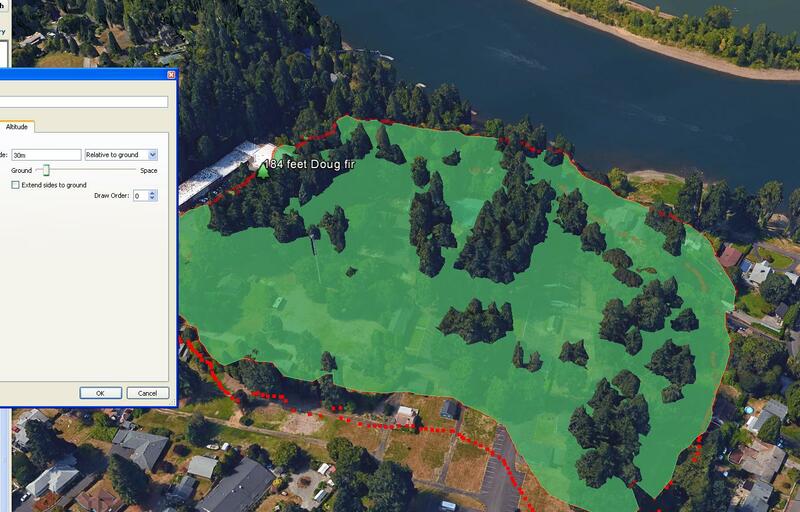 This method can save an awful of time and money for urban foresters, arborists and the like! Yeah, it can give good estimates anyways. I have field tested both methods and find them usually 95 -99% accurate, or about as good as a clinometer. Unstable ground and steep terrain will throw off estimates of height for thed 3D function however, so subtracting 3d crown height from a precise elevation DEM is key! 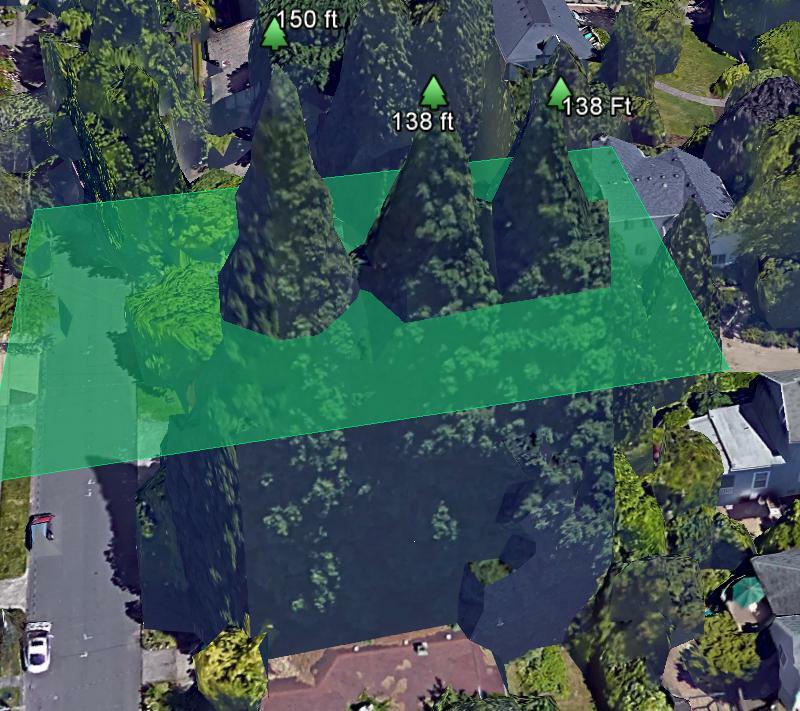 Some of Google Earth’s own standard DEM (digital elevation model) is actually incorrect, and the photogrametric DEM in 3D mode is more accurate in my experience. 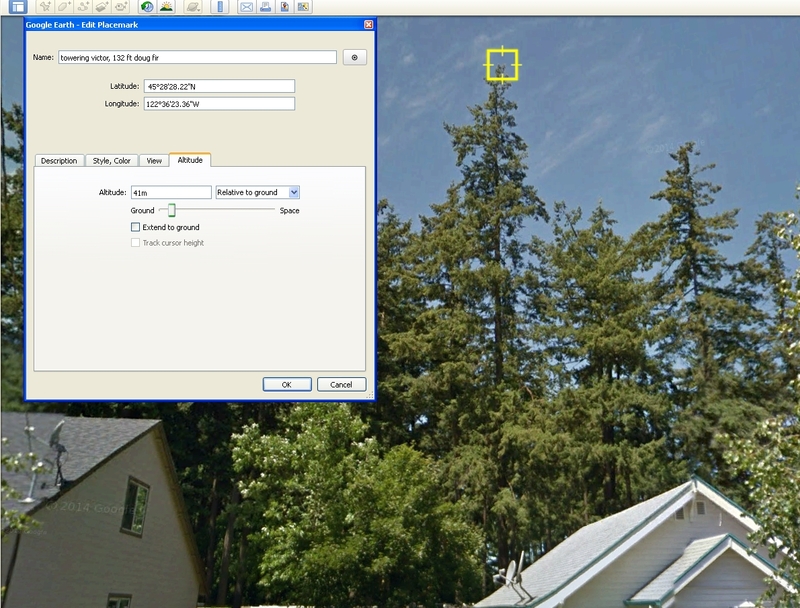 But yeah, for quick eyeball estimates within 5 or 10 feet, the street view works quite well most of the time. So distortion of distance and angle could throw off the height readings by a couple percent or more, but probably almost within the margin of error a Clinometer is proofed at (within 1% to 1 degree of accuracy, clinometers can be accurate if used with care and precision).